Robyn is an acclaimed performer and director who has worked extensively in theatre, television and film. Her many accolades include three Sydney Critics' Circle awards for her theatre work and several Logie awards. She is a former Artistic Director of the Sydney Theatre Company. Nicholas appeared on Broadway and on television before he landed the role of Friedrich in the much-loved 1965 film The Sound of Music. Having lived in Australia since the 1980s, he is an actor and writer with numerous film, television and stage credits over the past 60 years. We are delighted that Robyn and Nicholas are supporting the Tasmanian Theatre Awards as our patrons. Award-winning actress Marta Dusseldorp has worked extensively in theatre, film and television and is one of Australia’s most recognised actresses. She has a wealth of experience on stage and is well known for her film and television appearances, which include Janet King, A Place to Call Home and the Jack Irish series. Ben Winspear originally hails from Tasmania and has an impressive list of theatre, television and film credits. He received the 2009 Helpmann Award for Best Male Actor in a Play, and is the former Resident Director of Sydney Theatre Company and a former Associate Artist for Griffin Theatre Company. 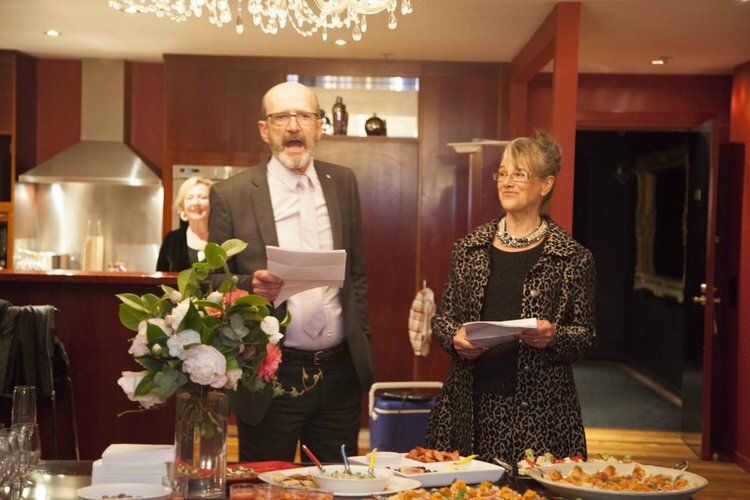 Husband and wife for over 40 years, Garry and Diane love theatre, they love Tasmania and were delighted to bring both loves together in becoming the very first patrons of the Tasmanian Theatre Awards.